Q: Raul, why did you start Alpaca Expeditions? Raul:I started with the purpose of helping porters and their families. Q: What makes Alpaca Expeditions different than other adventure companies? 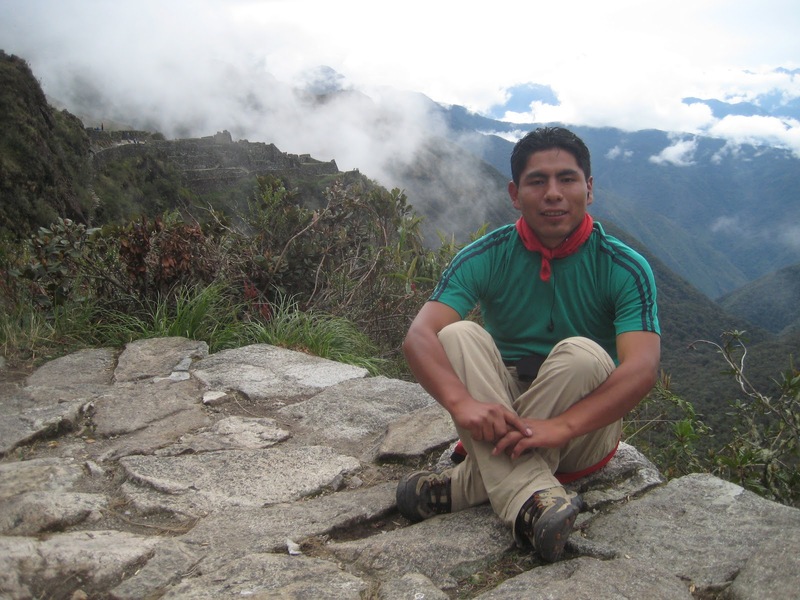 Raul: I created Alpaca with two goals – a superior experience for my hikers and a better life for my porters. I want to make sure that each trip is unique for the hikers who are going. Each of us has different needs and expectations from a vacation and I want to plan each trip catered to the hikers needs. But creating a better life for my porters is just as important to me. I want to make sure my porters have a good life and an income that can support them and their families. I want to make sure they have t he appropriate hiking equipment and clothing. Sometimes people do not realize how difficult it is to be a porter, how physically demanding it is. I want to make their life a little bit easier. Q: Is it true that you were a porter and a guide before you started Alpaca? Raul:I was a porter for three years while I was studying tourism at the University. I then moved to the office for one year learning a little bit about how the business and how to organize tours. After graduating, I got the opportunity to guide my own groups to Machu Picchu. I have been guiding now for four years. All these experiences have helped me to understand how to run a company dedicated to making a truly unforgettable vacation for my travelers. Q: Do you remember the first time you saw Machu Picchu? Raul: Of course I do, it was magical. Once I started working as a porter I really wanted to visit Machu Picchu. But it was against the rules for porters to go through the Sun Gate. Eventually I was chosen to take one of the duffel bags of a hiker to Sanctuary Lodge, allowing me to finally see the wonder. I had seen pictures of Machu Picchu of course, but arriving at the Sun Gate and Machu Picchu made me cry. It was more than I imagined. It was so beautiful and so much more than the photos show you. In spite of being so tired from waking up at 3AM that morning, I found the energy to not only walk around Machu Picchu, but I ended up hiking to Huaynapicchu. I now love watching my hikers get to the Sun Gate to watch their experience of seeing the real thing. Q: How many times do you think you have done either the Inca trail or one of the alternative treks to Machu Picchu? Raul: Since 2003, I have trekked more than 650 times on all the different treks to Machu Picchu. I have had the opportunity to take 1000s of visitors from all over the world to our beautiful Inca ruin. Q: When do you think is the best time to visit Machu Picchu? Raul: There are two seasons: from November to March is the rainy season. This is not the ideal time to visit. From April through October is the dry season and the most perfect time to hike and to visit Machu Picchu, as you can see the sun rise over the ruins. Even though the rainy season is not the ideal time to travel, you can still have an amazing adventure and its usually raining in showers and not all day. Q: Can people hike the Inca trail without a guide? Raul: No. The Inca trail has been regulated in 2000. They now only allow 500 people on the trail each day. This includes porters, cooks and your guides. You need to book the inca trail in advance. Alpaca Expeditions has many alternative treks to Machu Picchu for those who can’t book the Inca trail on the dates they were hoping for. These treks are just as beautiful and offer amazing views and many inca ruins. They are also less crowded and some people find it more enjoyable because of this. Q: What is the best piece of advice you can give to someone who is planning on doing one of the hikes to Machu Picchu? Raul: Do not panic. Everyone can do it. It’s not a race and everyone needs to take their time and walk in a comfortable pace. This is your holiday. Do not forget to enjoy the hike, the views, the experience. If you have any questions you would like Raul to answer, please comment below or email info@alpacaexpeditions.com. This was great – thanks for the advice Raul. I agree, everyone can do it and it is amazing. Congratulations Raul. Wishing you much success in AE ! You are a great guide and I’m certain many other will have the same life enriching experience you shared with our group.